This installation was made by hand. Each piece was crafted as an abstraction of lace forms. 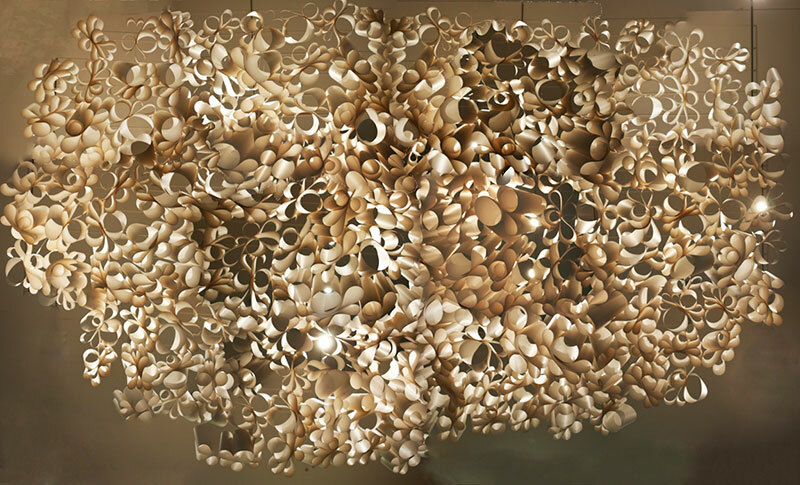 It creates visual interest through its contours, shadows and illumination. 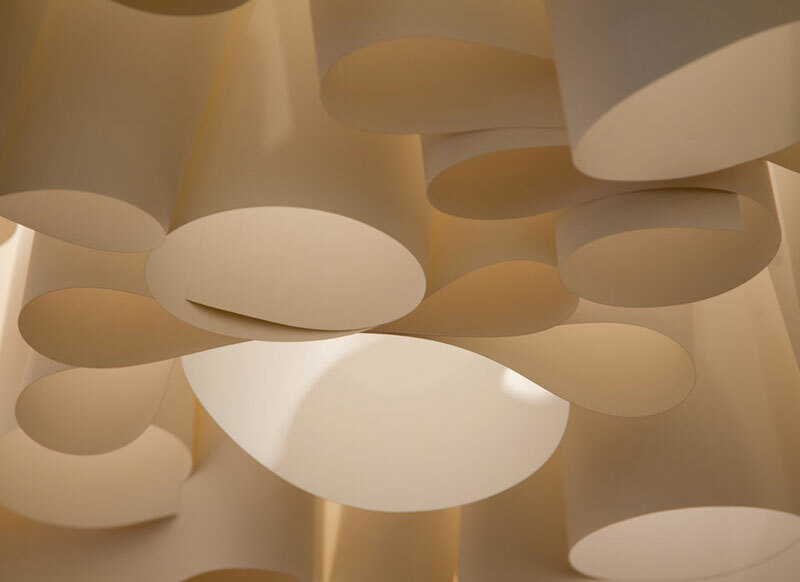 Yupo, a light sustainable plastic, allows its installation in residential and commercial interiors. 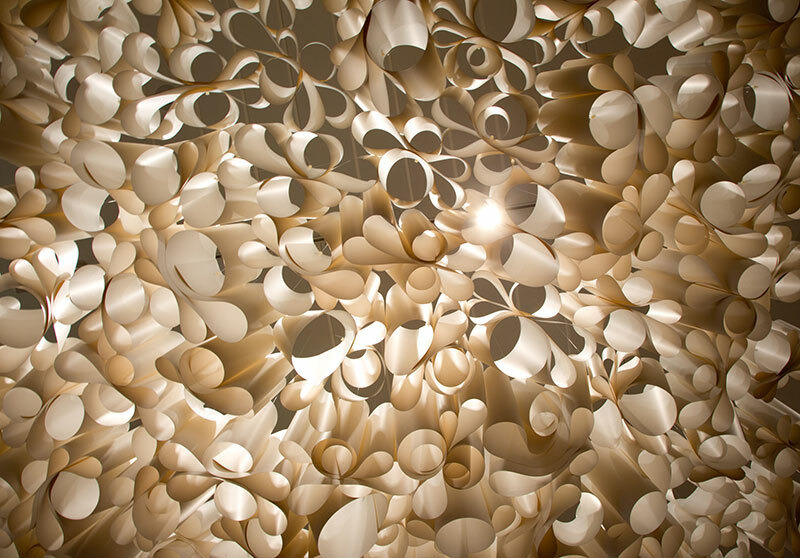 Each piece is packed in a roll, in different sizes, allowing the user to form and hang as many pieces as wanted. Plastic hardware holds the form and provide surface for hanging. Custom sizes and arrangements are available. 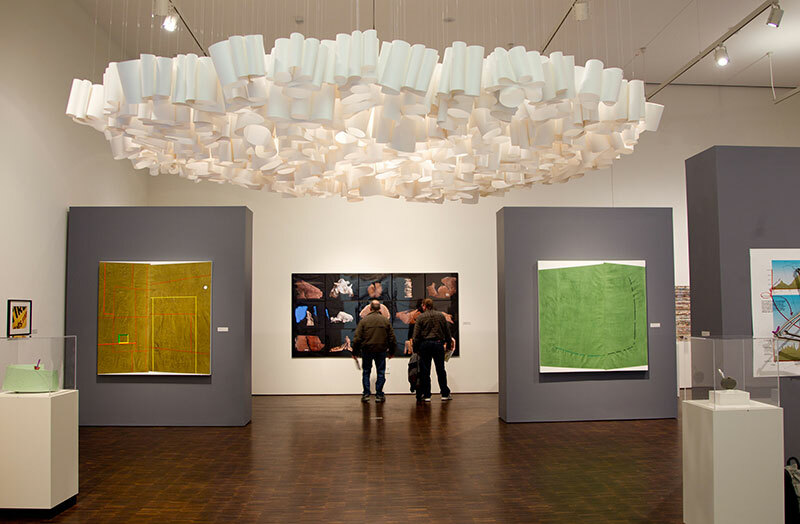 Serpentina was exhibited at the Figge Art Museum in Davenport, Iowa, among other places.